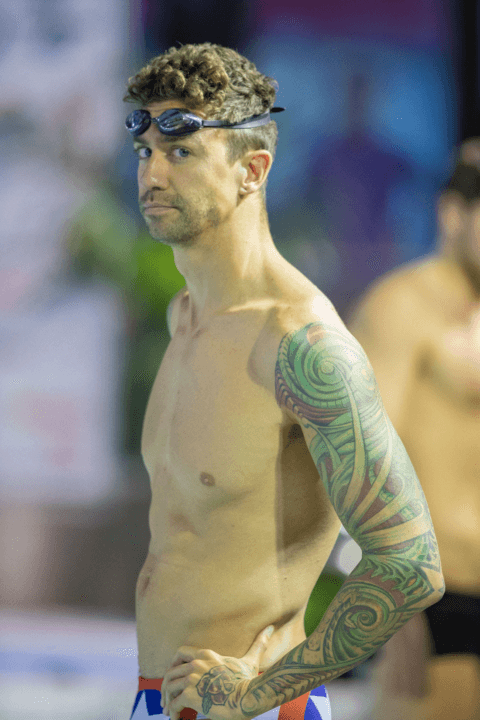 The handful of American stars made their marks on day 2 of the Balzano Swim Meeting in Italy, led by 2016 Olympic Champion Anthony Ervin. Absent from yesterday’s events, the 35-year-old sprinter topped the splash n’ dash field today, winning the 50m freestyle in a time of 21.65. The next closest was Italian Marco Orsi, yesterday’s 100m freestyle victor, who took silver behind Ervin today in 21.83. Federico ‘The Shark’ Bocchia clinched bronze in 21.91. Americans Matthew Josa and Jacob Pebley, the latter of whom crushed yesterday’s 100m backstroke field, also raced in the men’s 50m freestyle. Josa wound up 6th in 22.56, while Pebley scored a 15th place result with a mark of 22.89. Ervin, Josa and Pebley teamed up with Cal swimmer Scott Haeberle for an American men’s 4x50m freestyle relay at the end of the meet as well. The foursome came out victorious, taking the relay gold in a time of 1:29.19, the only squad to dip beneath the 1:30-threshold. Individual splits were not available at the time of publishing. Pebley won the men’s 50m backstroke in a time of 24.23, while Josa earned another silver behind Italian stud Piero Codia in today’s fly event. Yesterday, Codia got the upper hand in the 50m distance while today they finished 1-2 in the 100m race. 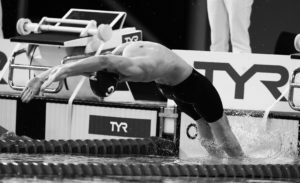 Codia got his hand on the wall in 51.77, with Josa finishing in 51.86, both representing the only sub-52-second swimmers of the race. Madison Kennedy did additional damage in Bolzano as well today, following up her solid 100m freestyle win from yesterday with a gold in the 50m. 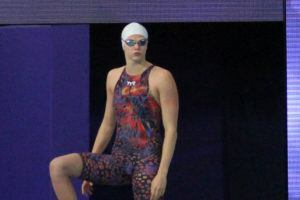 Her time of 24.56 handily won the event, signifying the only female swimmer to delve into sub-25-second territory. Long course or short course meters?